“Great peace have those who love your law, and nothing can make them stumble” (Psalm 119:165 NIV). Finding a person with peace in today’s hurry, scurry world remains a rarity. Think about this for a moment. We find ourselves relentlessly exposed to the static of humanity all around us. 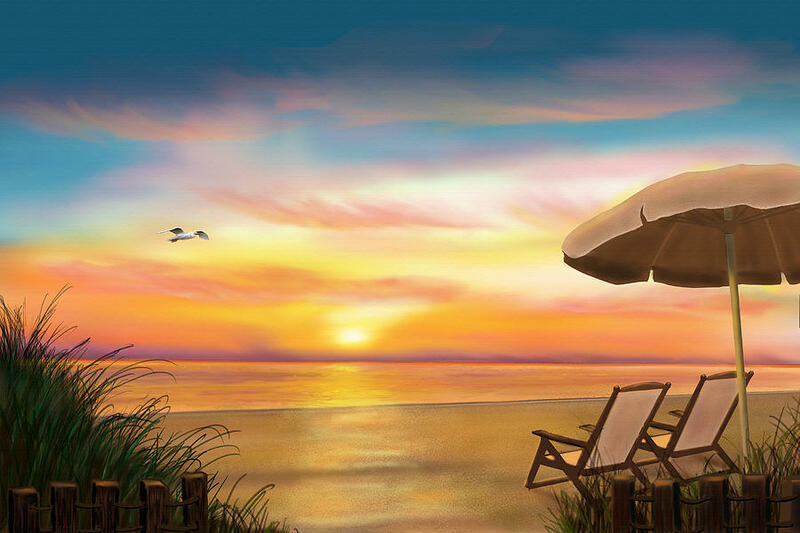 If we listened to every advertisement, every plea for contributions, every demand to change something in our lives, every infomercial, every salesman who calls or comes to the door, every time the phone rings with a recorded message, it would make us crazy. The ones already mentioned make up only a fraction of the distractions we deal with on a daily basis. Instead of finding people at peace, I find people stressed out. Stress takes a toll on the body and the spirit. Many of the medical ads on TV treat conditions that did not even exist twenty-five years ago. Viewers don’t get enough sleep, they are allergic to everything, their eyes are dry, they have incontinence, they have restless leg syndrome. With communication at an all time high, the world has become exposed to a constant sort of brain-washing by people who have an idea or product to sell. People with an attitude of great peace exude an air of confidence in the midst of a chaotic world. All of the confusion doesn’t seem to affect them. God has made it clear that He has them in the palm of His hand. Everyone wants this kind of peace, but perhaps they don’t understand how to attain it. The world has a different reaction to someone walking around on the planet in the attitude of complete and confident peace, a peace that can only come from the Lord God Almighty. Some people see that peace in you and will actually fear you because peace is so uncommon. If they feel brave, they may ask you how they can get it. When they do ask you, they just gave you permission to tell them about Jesus. Having an attitude of peace comes from having the heart attitude that we love God and we trust Him, no matter what the circumstances. Bible study and prayer can bring us the great assurance that He will be faithful to hold us in the palm of His hand. Obedience is taught throughout the Bible. When we come to a place that we desire obedience over the rush of the world, we have arrived at the place of peace. We will not stumble. So what is to be our attitude? Our attitude is love of God’s law. Does this sound difficult? At one time it was, but now God has made it easy. He has written the law on our heart. He has given us a conscience and the Holy Spirit. Once we trust that God’s way is best, our love of the law written on our heart will overflow. Lord God Almighty, we thank You for Your gracious gift of the peace that transcends all understanding. We know that You are always faithful, even when we are not. Teach me through Your Spirit and Word how I can obey and serve You. Amen. Before we knew it our mission to Malawi came to an end. 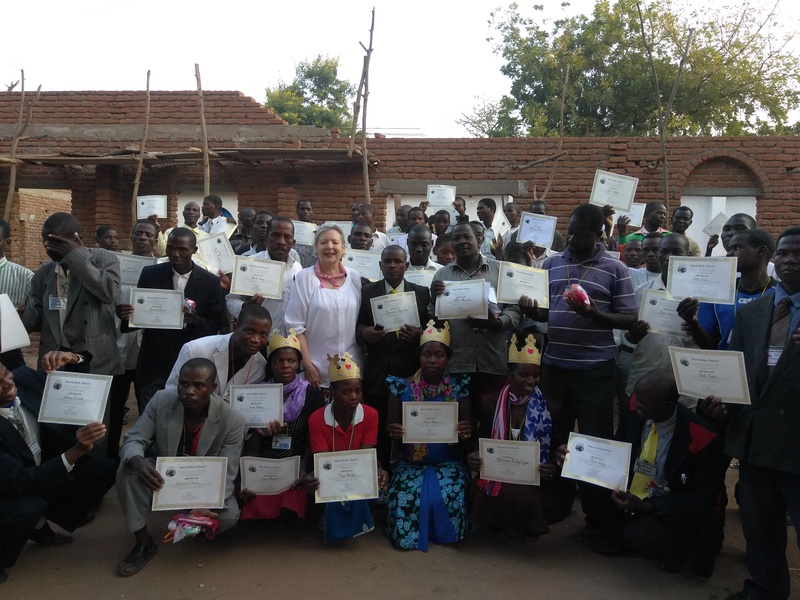 The pastors completed their two week Bible study courses and graduation day had arrived! 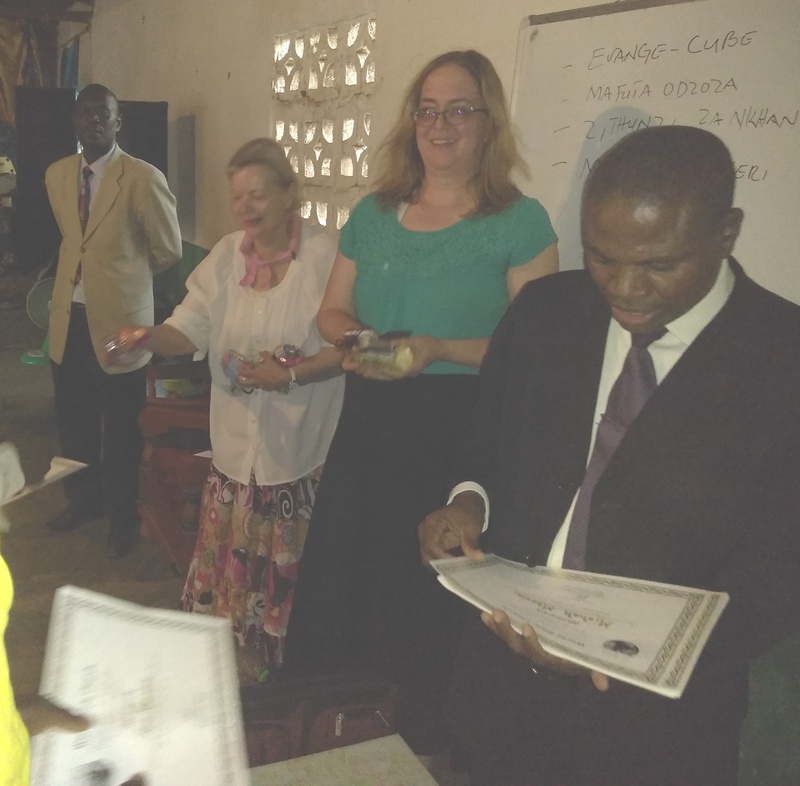 Pastor Chilemba awarded certificates to each participant. Mary Beth presented gifts for them to take home to their wives and I presented gifts for their children. L-R Pastor Julius, Vicki, Mary Beth, Pastor Chilemba. The event demanded a group photo. Congratulations to our students! Graduation picture. Notice the women wearing the crowns from the previous Saturday. After the group photo it was only fitting that we celebrate with soft drinks and cookies, then the music and dancing began! Soon the three of us were showered with gifts of baskets and skirts. Dancing and praising the Lord! A wonderful end to a life changing trip. 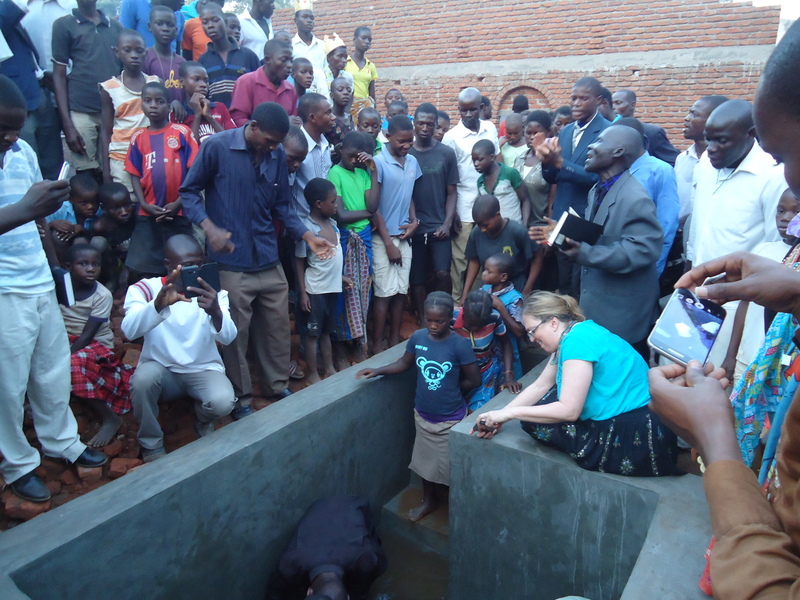 Life changing for people in Malawi, and life changing for me! 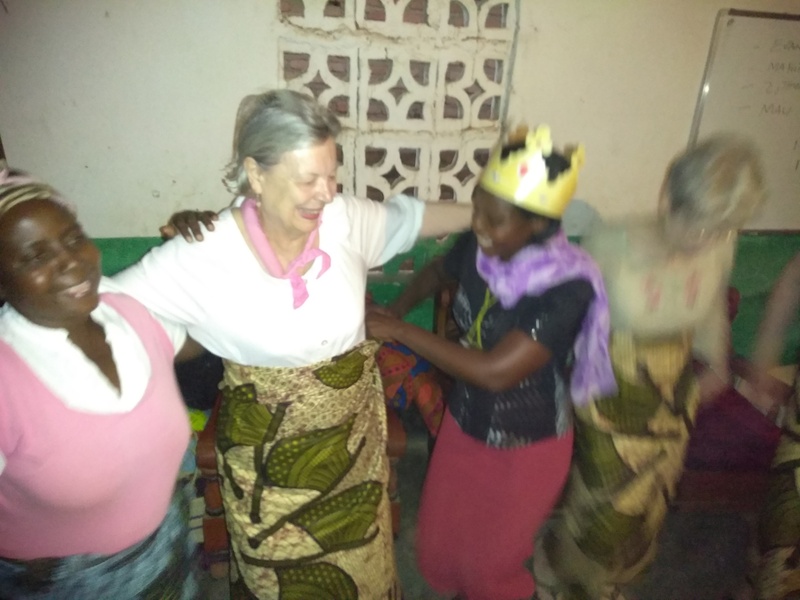 Grace and Mama Chilemba present me with an African skirt while dancing to music of Malawi! 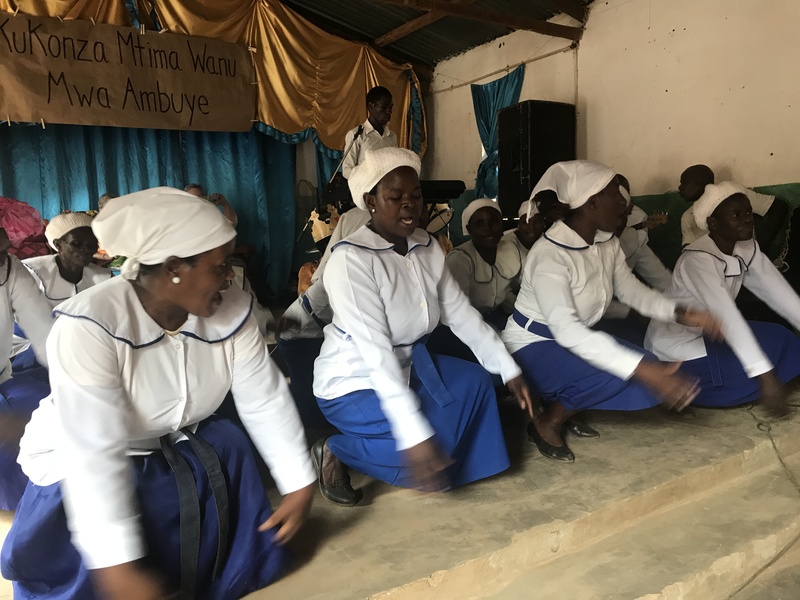 Most of the pictures for this series about Malawi were skillfully taken by Mary Beth, a few of them were from Charleeda’s collection, and a very few from mine. Thanks to the people of Malawi for taking such good care of us, and blessing us, while we visited them. Thanks to my team members, fearless leader – Charleeda and compatriot – Mary Beth. 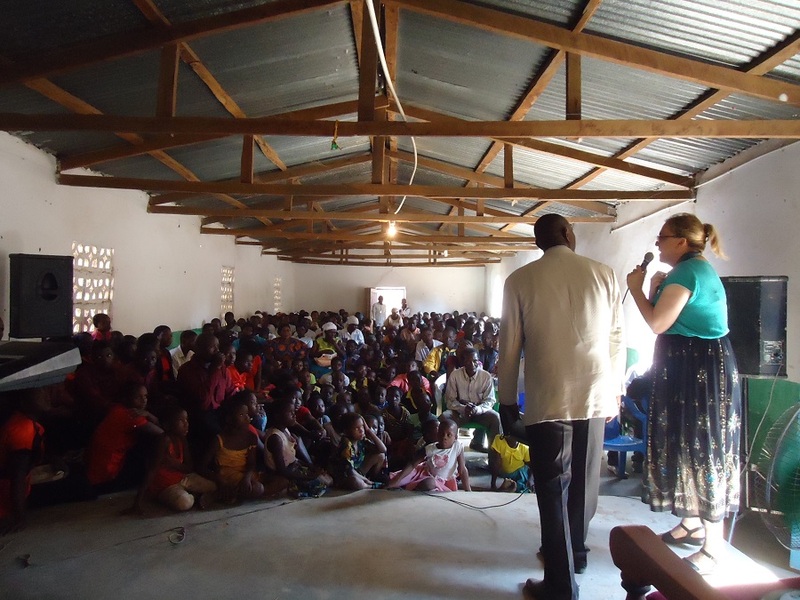 Thanks to all the people who supported us with prayer and funds to help us bless the people of Malawi. May God bless all of you, and may God continue to bless the United States of America as we go out into all the world to preach His Word! 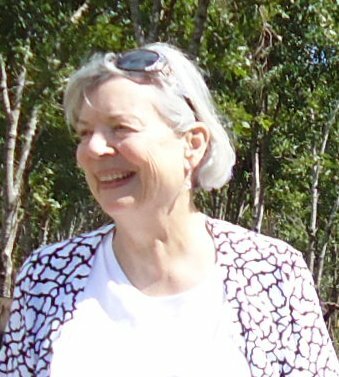 At the conference. Much dancing and celebration. conference for the weekend. Attendees would be arriving Friday night and I was chosen to kick off the conference with a message to encourage them. After traveling all day, I knew many of them would be very tired. Since I’m not particularly fond of watching people sleep during my messages, I decided to make it short. “How to be Saved and Know It” took twenty minutes to present. After I spoke, Charleeda made an altar call. Then we were swept away to our hotel – before we got to see how many came forward. Pastor told us the next day that several children came forward! Praise God, they would get baptized! The next morning Mary Beth started off the morning with an inspiring message. 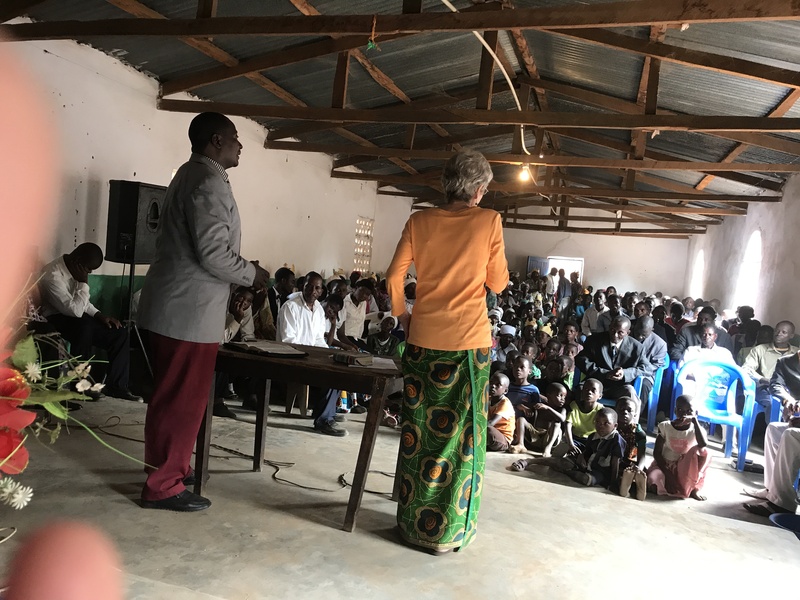 Mary Beth addressed conference with Pastor Julius translating. 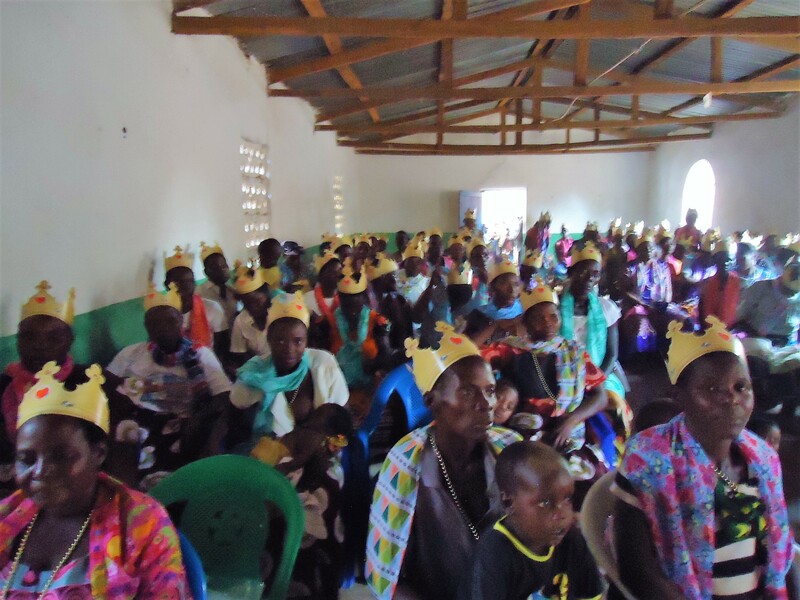 After a short lunch, we regathered to crown the women with glory and celebrate God’s blessings! The next order of the day was baptism! Dancing and celebration followed baptisms. We were overjoyed that there were 150 baptisms that day! Sunday morning Charleeda gave a powerful message. Soon the conference would end. Charleeda addresses conference with Pastor Webster translating. After Charleeda spoke, several dance groups from different parts of Malawi and Mozambique took the stage. These dancers know how to celebrate the love of God! The beautiful music, clothing, and dancing revived us. What an inspiring way to end the conference! One of the many dance groups celebrating God’s glory! The conference ended and everyone gathered for a group picture! One of my treasures. Last day of the conference. Good-bye dear friends, until we meet again. Loading up to go home. Joseph using his new Bible. We take so much for granted in the United States. How many Bibles do you have? For the first time, I decided to count the Bibles in my office. I stopped at forty-eight. I had one bookcase left to go and pretty much decided only other teaching books were there, so I didn’t count it. Mind you, these are just the ones in my office! I’m sure David’s office houses at least that many. If I mentally add ones throughout the house (ones by my bed, in the living room, in the bookcase in the hall) I’m sure we have at least one hundred Bibles in this house. Nsanje was a real wake up call. Charleeda teaching, see Bibles stacked in the background. 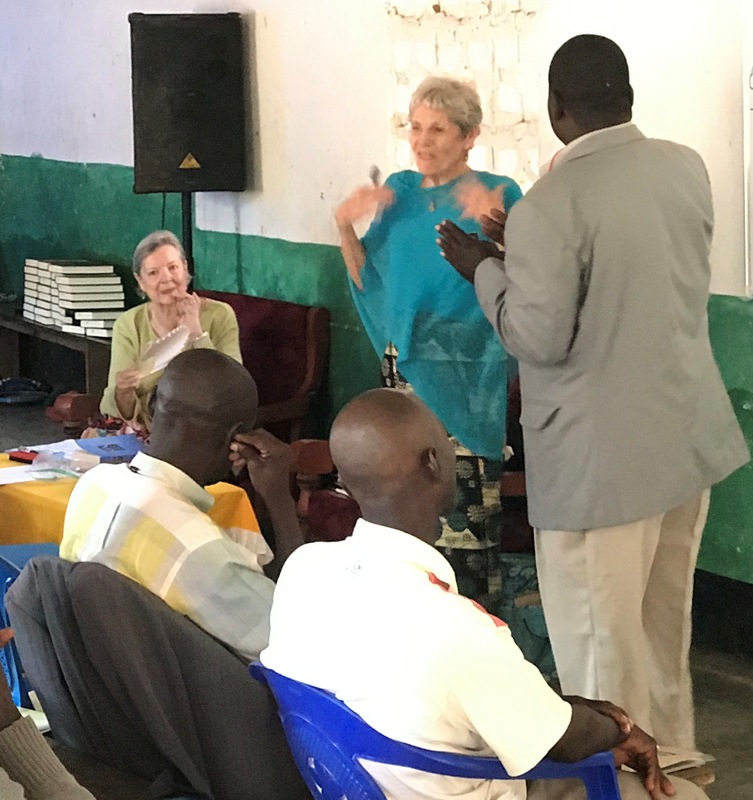 Last year Charleeda and Mary Beth had given each pastor a Bible and they were expected to use it in class this year. Remember, these pastors have built up their churches with out the benefit of Bibles. God blesses them. 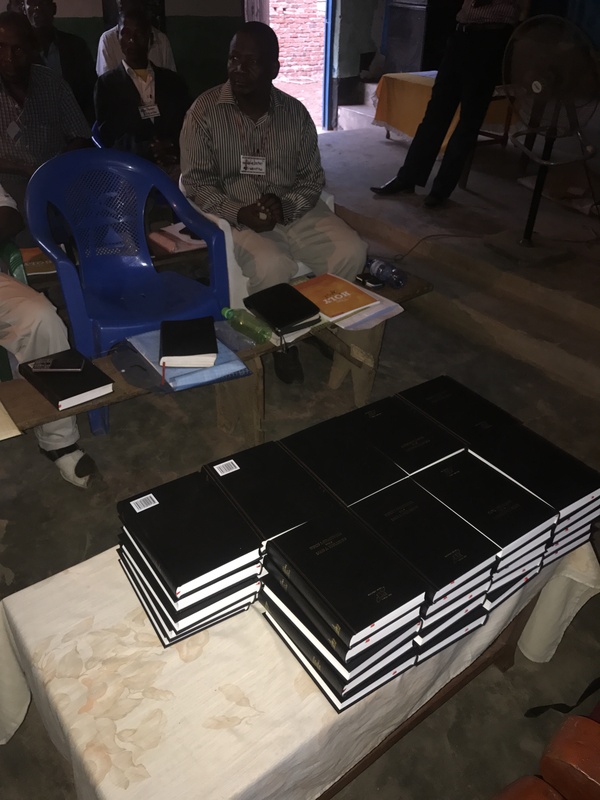 Bibles not yet distributed. David’s “Iron Sharpens Iron” project goes into effect. Each of us created a project to benefit the pastors and people of Malawi. David made up the fourth member of our team, as our U.S. anchor. 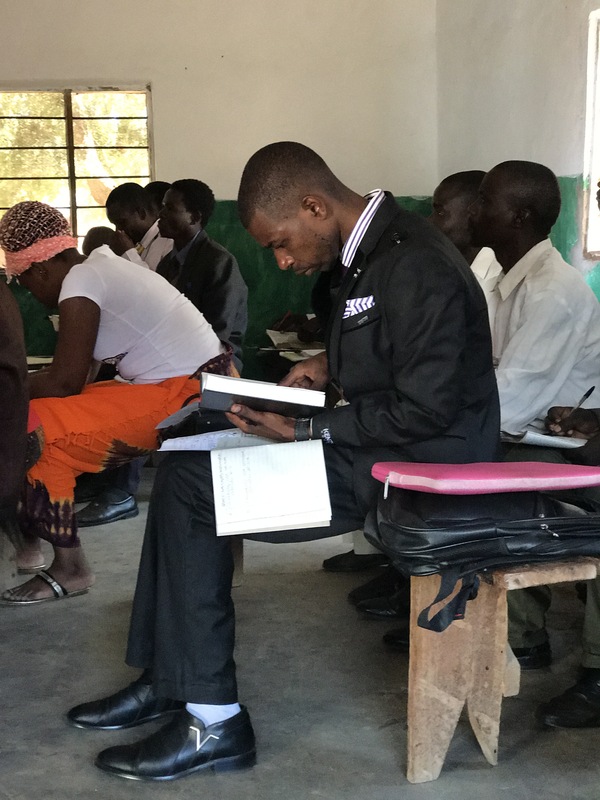 He called his project “Iron Sharpens Iron.” Each pastor would received two Bibles. One would be for himself (pastors from the year before already had one, so they would receive another) and the second would be for a study partner or an accountability partner. 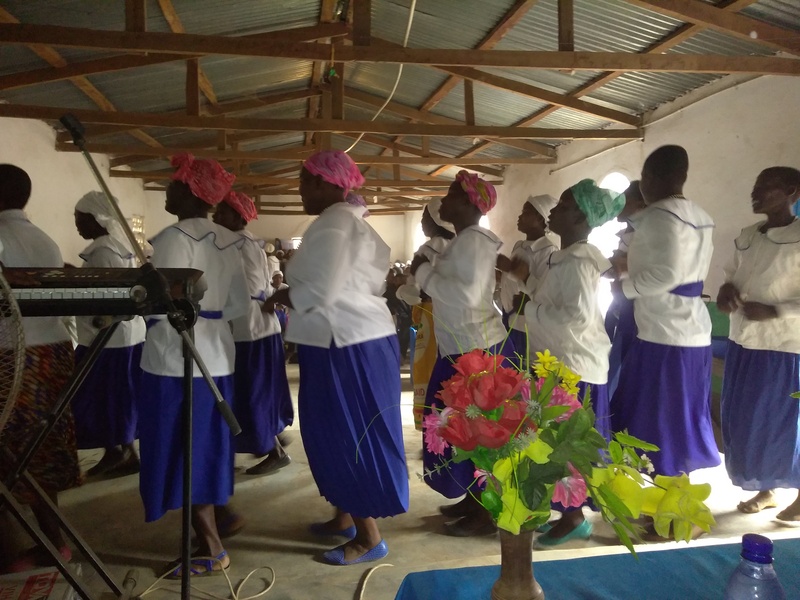 This project, funded by our supporters, elated the pastors. Thank everyone so very much for their donations. 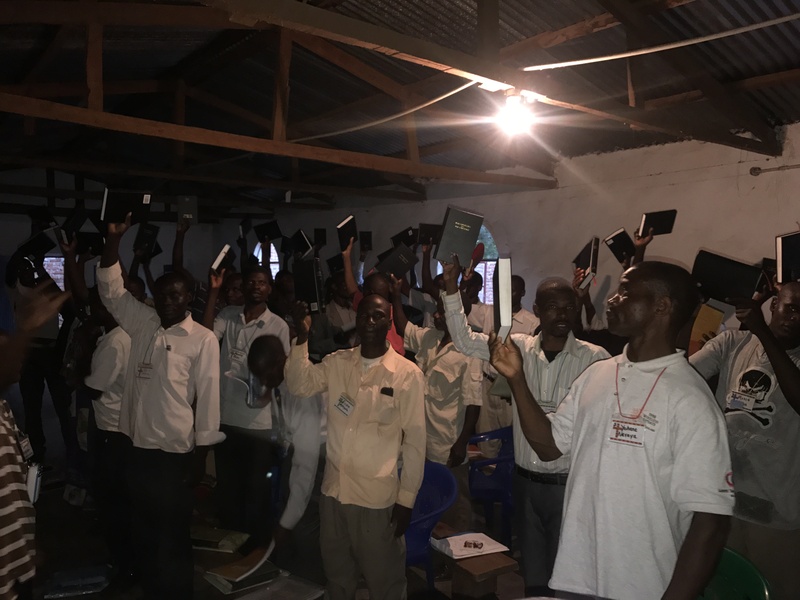 Pastors pose with new Bibles. Isaiah 55:10-11 tells us: As the rain and the snow come down from heaven, and do not return to it without watering the earth and making it bud and flourish, so that it yields seed for the sower and bread for the eater, so is my word that goes out from my mouth: It will not return to me empty, but will accomplish what I desire and achieve the purpose for which I sent it. Those jaws can exert a whopping 3,700 pounds per square inch. Yours can only do 150 pounds per square inch! One of the curiosities of Malawi held my attention. Crocodiles! They were a very real danger in the past and continue to attack people. One man at the river said that only yesterday he saw twenty-one crocodiles. Crossing the Shire River to Mozambique. The Shire River, heavily populated with crocodiles, separates Mozambique from Malawi. Crossing the river from Malawi to Mozambique seems natural to these folks, but I’m not sure I would have the courage. That canoe looks just a bit fragile. In fact, I believe I saw a crocodile at the Museum of Natural History about the same size as that canoe! Nope. I’m not getting in. Canoes take customers back and forth across the river. Let me share this article from The World by Ann M Simmons called, Rivers of Fear Run Through Malawi as Crocodiles Stage a Big Comeback. The article was written in 2002, but I think the problems remain. 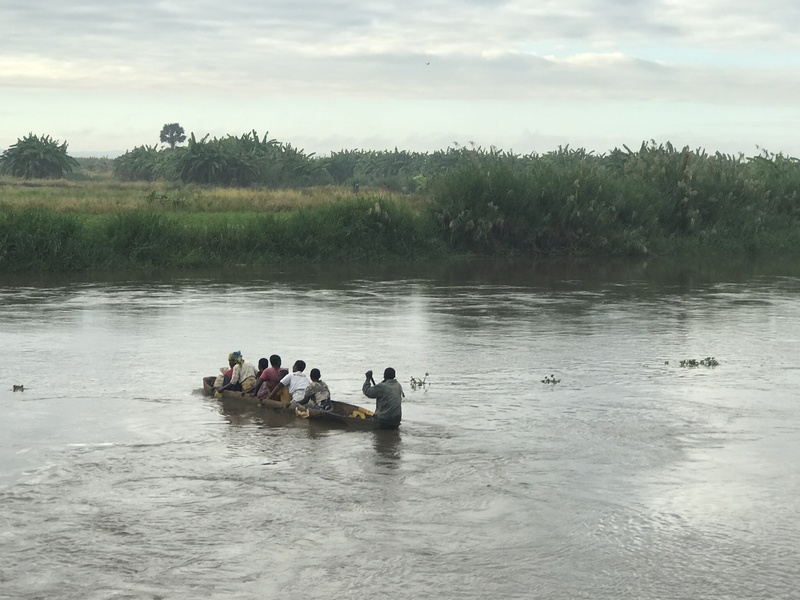 NSANJE DISTRICT, Malawi — Dipping his arms into the murky river, Collins Skiper expected to grasp a healthy bunch of water lilies. Instead, he found both hands in the clutches of a crocodile’s ravenous jaws. The predator dragged Skiper out of his shallow dug-out canoe and into the water. Memories of what followed that day in early January are sketchy. But Skiper does recall the terror, the pain and the violent struggle as six fellow fishermen clobbered the crocodile with their paddles. Miraculously, they managed to free Skiper from the reptile’s grip and drag him to safety–his hands ripped and bloody. The young fisherman was lucky. Few victims of the numerous crocodile attacks in this southern region of Malawi survive to tell their tale–much less with all their limbs intact. Nile crocodiles are terrorizing communities along the Shire. 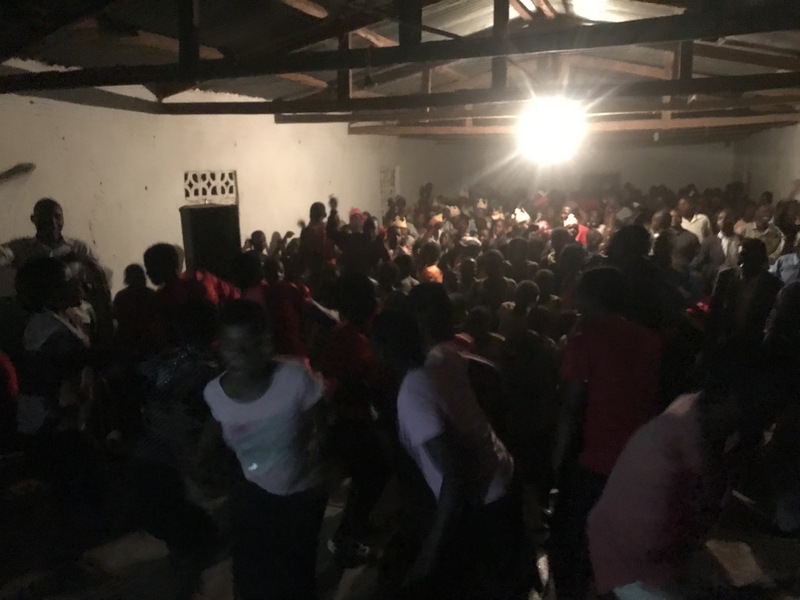 Two people in Skiper’s village have been killed since January, and nearby settlements have experienced at least a dozen attacks since the beginning of the year. Depletion of the crocodiles’ natural prey, primarily caused by overfishing, has led to the surge in attacks. 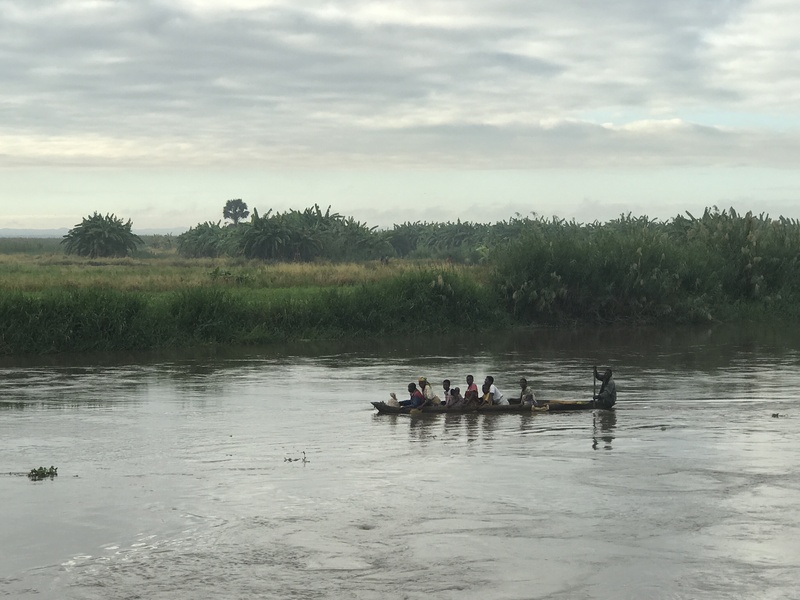 Humans who fish, wash in and draw water from the crocodile- infested river, along with livestock grazing along its shoreline, are easy prey, wildlife specialists said. Some local fishermen have been literally plucked out of their makeshift canoes, many of which have less than six inches of clearance from the water. Figures on crocodile attacks here are unavailable. 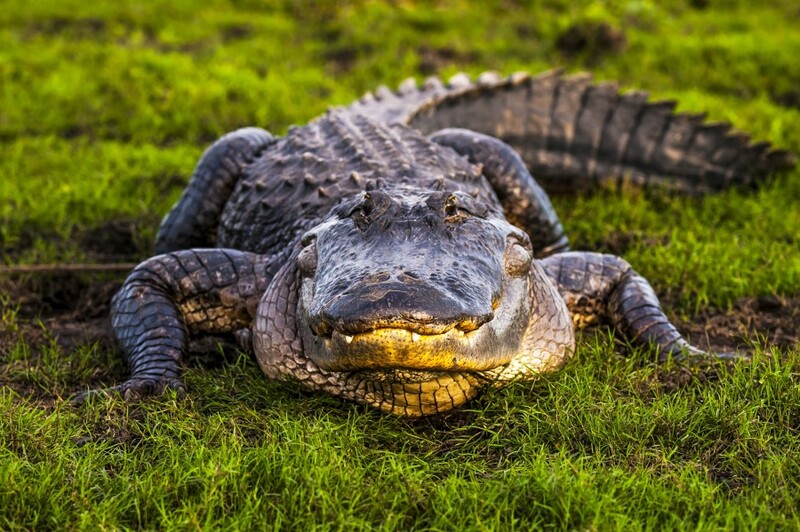 But some hunters believe that at least one Malawian is killed or maimed by a crocodile every day and that as many as two victims fall prey daily during the warm season from October to April. 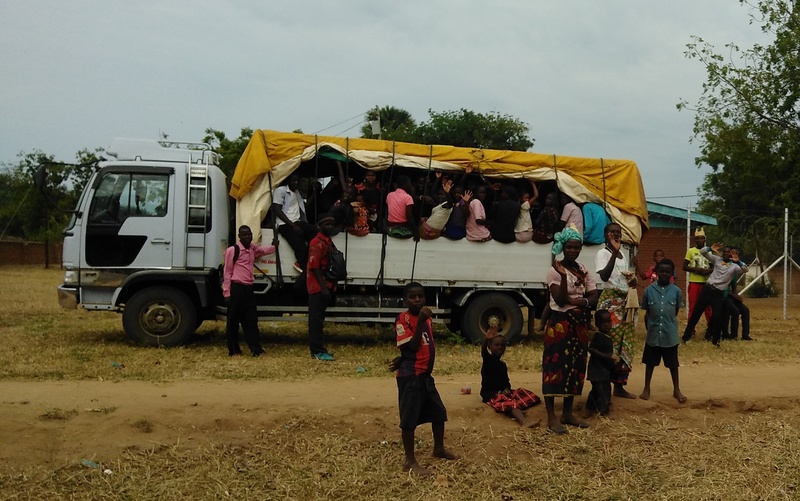 “Most of the cases are not reported; people just go missing,” said Wisdom Mwanza, director of planning and development for the District Assembly in Chikwawa, one of the areas hit hardest by crocodile attacks. 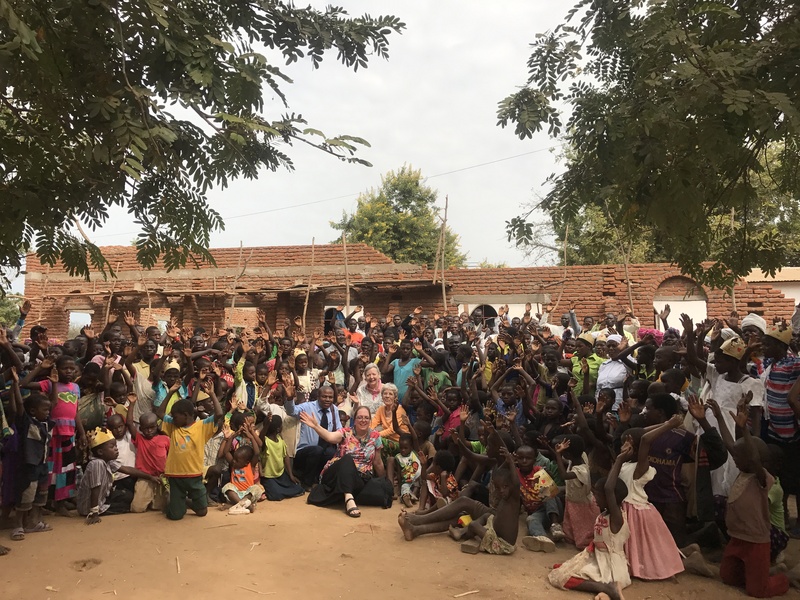 Report on the mission to Malawi continues next time . . .